While I’m still waiting for the cover art, I’d thought I give you both a second excerpt and an idea how the book will look on an actual device. 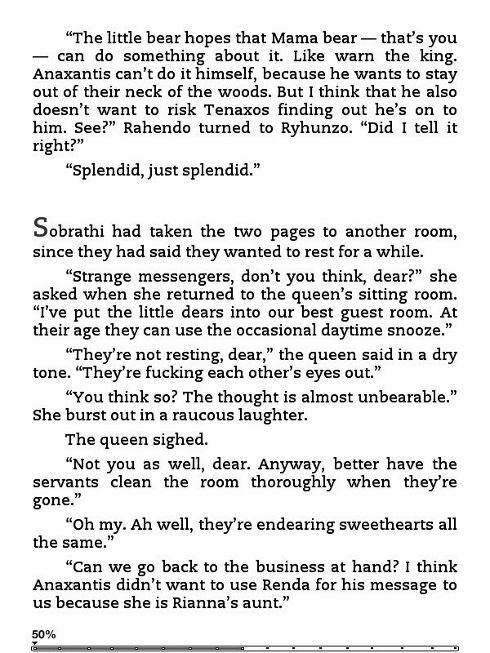 The excerpt: Anaxantis has chosen two unlikely messengers to deliver an important message to his mother, the queen, and Sobrathi. 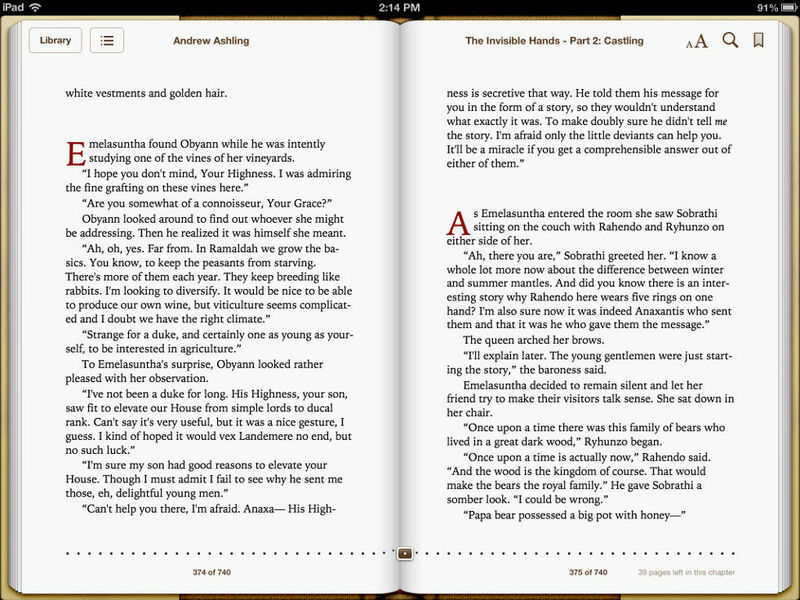 The screenshots: The first three are of the epub-version of the book, taken on an iPad (thanks to my editor). 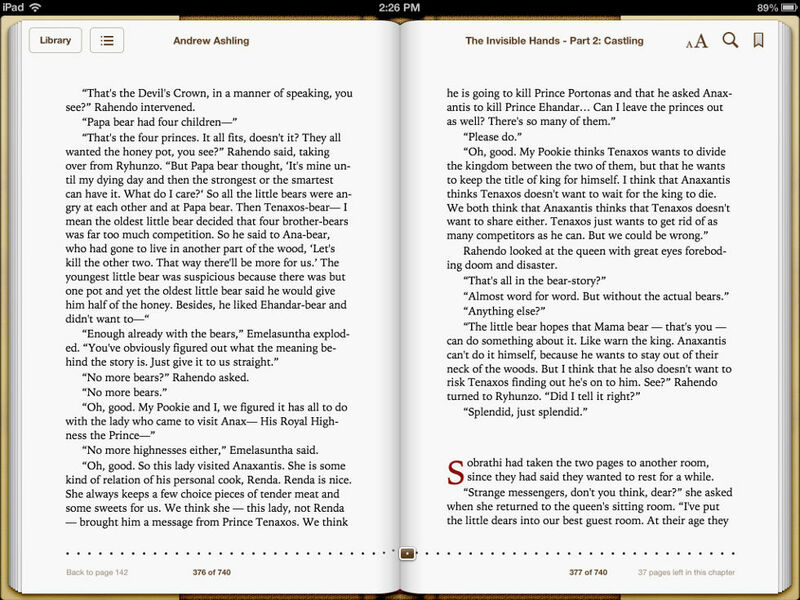 They should look the same in the reader apps for Android tablets. I tested the book also on the Kobo Glo and the Sony PRS-T2, and they look exactly the same but in grayscale. 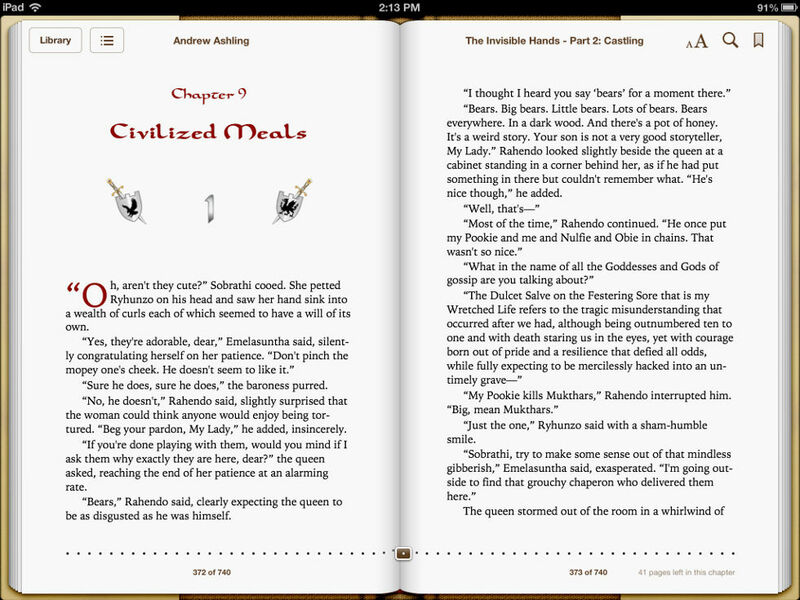 The last screenshot was taken on the Kindle 3 Keyboard. I can’t wait, I hope it comes out real soon!